Kingsland member Gina Metzler loves the children who live in the tough neighborhoods of Houston’s Third Ward. In addition to serving with Generation One, Gina has volunteered at Dodson Elementary School in the Third Ward since January 2010. Over that period she has alerted our missions ministry to needs at the school. Recently we learned that the school needed some landscaping work in preparation for the start of the new school year. 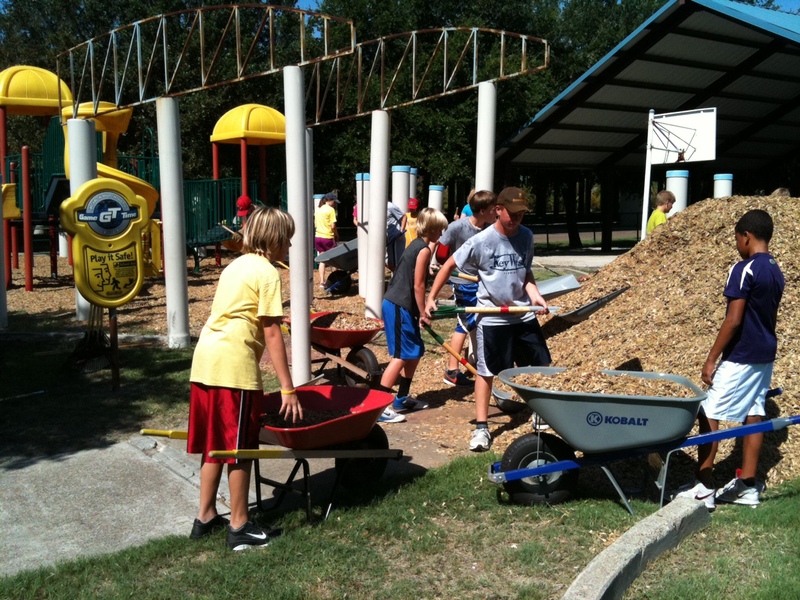 Yesterday, we took a team of our Jr. High school students to spread mulch on two of the school’s playgrounds. We also began building raised planting beds for the school’s Montessori program. So, with ice chests filled with cold water bottles, we braved record-setting Texas heat to spread forty yards of kiddie mulch. Forty yards of mulch is a lot of mulch! And somehow, when it’s over a hundred degrees outside with a heat index much higher than the actual temperature, moving forty yards of mulch feels more like you are moving eighty yards of mulch. But, in spite of the heat, our team of mighty mulch movers managed to conquer Mulch Everest. The playgrounds at Dodson look great and are ready for the school kids that will descend on the campus in a few weeks. We will return next week with a team that will finish building the planting beds — to be used to teach kids what it takes to get food from plant to plate. I’m glad that we can play a small part in helping Dodson Elementary get ready for the new school year. The children of our community are important and deserve the opportunity to get a good education. By providing backpacks filled with school supplies for children from poor families and by meeting other needs at schools like Dodson we believe that we are helping to make a difference. 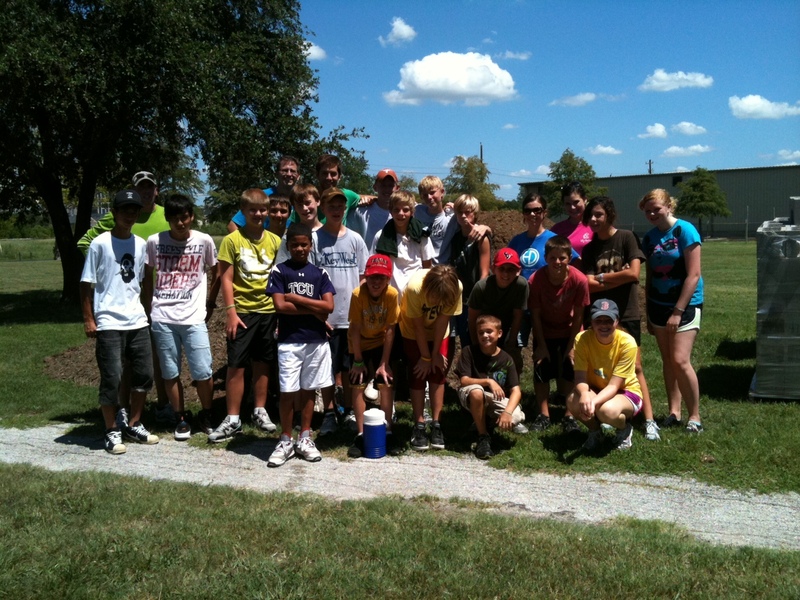 Moving a mountain of mulch was also a good learning experience for our Jr. High school students. They understand that they too can play an active role in helping to make our community and our schools better. Yesterday was a really hot day in Houston but our kids did a really cool thing by serving at Dodson Elementary School.